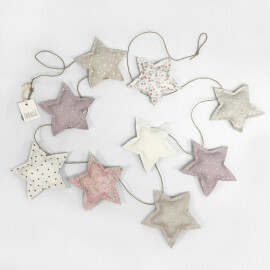 Stared garland made with 9 cushioned little stars. 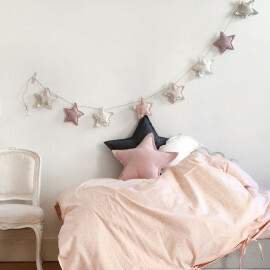 Can be the perfect accessory for the wall of your newborn's bedroom. 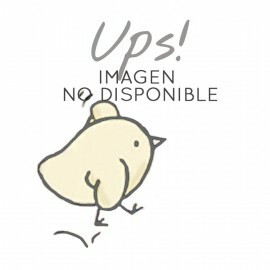 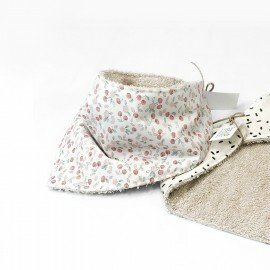 You can use it from both sides, one with different prints, the other in plain beige linen.